Political Connection, a subcontractor for phone-bank services, claims responsibility for a recent “fake” caller ID phone call – the ID showed the call came from council member Margaret Chin’s office and was looking for support of a plan allowing retail development of Water Street public arcades – though Chin does not endorse the development project. When the nature of the calls was discovered, the group took responsibility and issued a statement through Global Strategy Group’s communication office – GSG is the PR firm representing the Downtown Alliance pushing the Water Street proposal. The statement declared, “To be clear, Global Strategy Group and the Alliance for Downtown New York had no knowledge of this issue, nor did they instruct us to do so. Political Connection takes full responsibility for this terrible mistake.” Paul Hovitz, a member of Council Board1, received the call and complained to Chin, starting the investigation that triggered the above statement. Let’s face it, PR experts know all the right people, so when Amanda Ruisi, founder and President of AKR Public Relations recently got married, the reception had a few celebrities in attendance as well as one particularly nice wedding gift – services rendered by DJ Ruckus. Ruckus generally charges in the neighborhood of $75K for an evening’s work, so a pretty great gift all-in-all. Names in the crowd included 50 Cent, Erin Brady (Miss USA), and Pauly D.
Ruisi founded the company in 2010 after more than 10 years working at NBC. Cannes begins in less than two weeks. 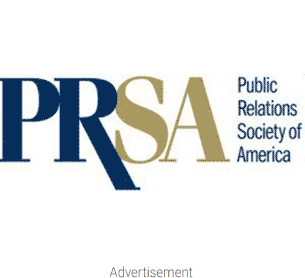 If you are lucky enough to go this year, check out some of these items specifically for PR people. PRWeek – along with their parent company (Haymarket), are establishing a double cabana. You can locate it near the steps of the Palais des Festivals. The cabana offers PR and communications pros at Cannes a gathering spot. Tuesday evening between 4:00-5:00 they are having a refresh and reload session with Erin Gentry from Hill+Knowlton Strategies and is one of this year’s PR Lion jurors. A large party on Tuesday evening after PR Lions between 8:30-11:00 p.m. Stop by, hang out, recharge your phone, and have a drink. A few hours later at 11:00 a.m., Steve Barrett of PRWeek will be moderating a forum on “Insights from the Jury” at the ICCO Cabana.